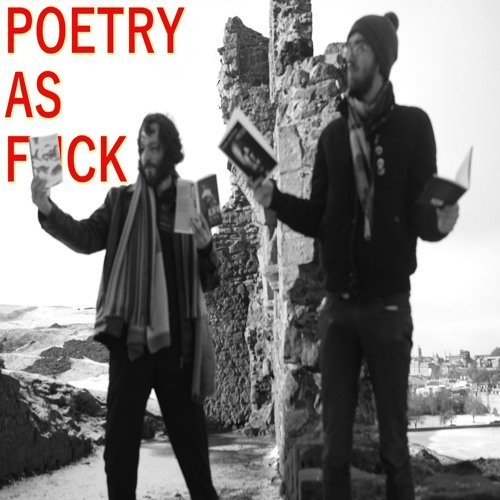 Poetry as F*ck is a spoken word podcast, containing three different shows: 'Poets Against Humanity' - a Creative Commons remix of 'Cards Against Humanity' where poets desecrate each others' work in a panel show format. 'Lies, Dreaming' - a digital open mic night based around a theme, with recorded spoken word submitted by listeners. 'Eight Poems That, If You Had To Be Trapped In Some Way For a Prolonged Period Of Time With Little Hope of Rescue, You'd Quite Like to Bring Along For Coping Purposes' - which is like Desert Island Discs but with poems and more existential terror.